Legendary songwriter, recording artist and performer Paul Simon has announced the final leg of Homeward Bound – The Farewell Tour, culminating with four shows in the New York City area: the Prudential Center on September 15 in Newark, NJ (the city where Simon was born), and two nights at Madison Square Garden on September 20 and 21, with an additional concert to be announced soon. As previously announced, Simon and his band will embark on the artist’s final tour May 16 in Vancouver, bringing to the stage a stunning, career-spanning repertoire of timeless hits and classic songs. 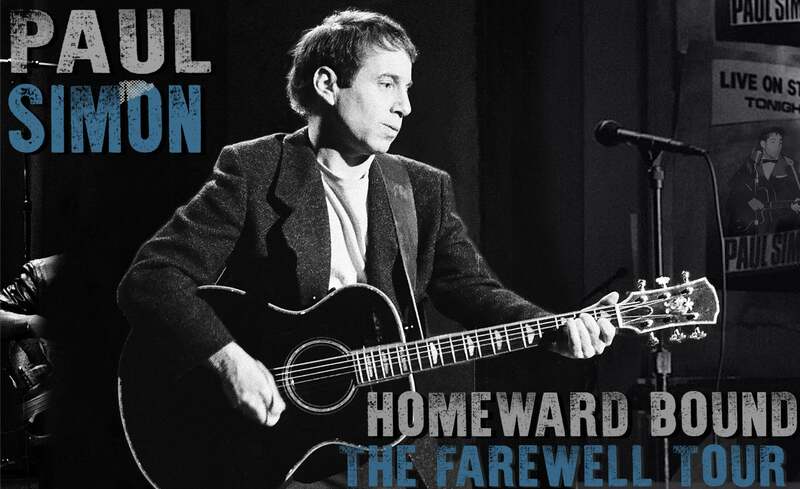 Tickets for the third and final leg of Paul Simon’s Homeward Bound – The Farewell Tour will go on public sale beginning Friday, March 16 @ 10am ET.